We looked at the top 16 Electric Pressure Cookers and dug through the reviews from 136 of the most popular review sites including BestReviews, CNET, The Spruce Eats, Digital Trends, Tech Gear Lab, Amy & Jackie Pressure Cooker Recipes and more. The result is a ranking of the best Electric Pressure Cookers. Our experts reviewed the top 16 Electric Pressure Cookers and also dug through the reviews from 136 of the most popular review sites including BestReviews, CNET, The Spruce Eats, Digital Trends, Tech Gear Lab, Amy & Jackie Pressure Cooker Recipes and more. The result is a ranking of the best of the best Electric Pressure Cookers. The Instant Pot DUO is best overall, setting the standard for electric pressure cookers thanks to its affordability and versatility. You can use this Instant Pot to make meats and vegetables or creamy items, like yogurt and cheesecake. The three-ply stainless steel bottom ensures even heat distribution and retention. DWYM Kitchen Experts plus Top Ten Reviews, Pressure Cooker Pros, Consumer Reports, New York Times Wirecutter, Tech Gear Lab, BestReviews and 2 more. Along with user reviews from Amazon and Best Buy.
" This is the only device to have dishwasher safe utensils. The measuring cup, steamer rack, ladle and rice spoon are all dishwasher safe so you can drop them in the top rack and let your machine take care of the..."
"The Instant Pot lacks the power to sear meat, so while our Kung Pao chicken cooked nicely, it didn’t brown." With a reasonable price and easy cleanup, the Mealthy MultiPot pressure cooker is one to consider. Novice cooks will appreciate the clear, easy-to-follow display and handy reference guide, as well as instructional videos available on both the app and website. This intuitive, user-friendly appliance will make even novices feel comfortable using a multi-cooker. DWYM Kitchen Experts plus Best Reviews Guide, CNET and 7 more. Along with user reviews from Amazon, QVC and Target.
" You won't be able to bake cookies, saute veggies, or steam roast pork loin in most slow cookers, but you will in the Ninja, thanks to its dedicated oven and stovetop modes." The Breville Fast Slow Pro is a versatile, high-powered appliance that performs well in numerous scenarios. The lid and pot are dishwasher safe and the high-quality non-stick interior makes cleanup a snap. The three-way safety system, which includes a locking lid, manual steam release and safety valve, promote safe use. DWYM Kitchen Experts plus CNET, Wired, Good Housekeeping, Hip Cooking, Best Pressure Cooker, New York Times Wirecutter and 4 more. Along with user reviews from Product Review, Amazon and Appliances Online.
" 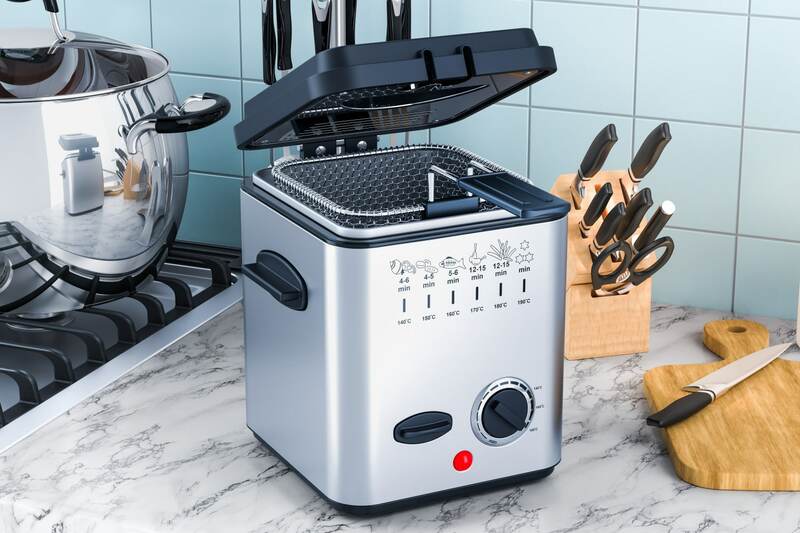 The Breville Fast Slow Pro is a versatile multi-cooker that performs well under many scenarios, including searing meat, slow cooking and pressure cooking." "At $250, twice as much as most other pressure cookers." The biggest benefit of the Ninja 4-in-1 cooker is that you can pop it in the oven, which makes it handy for baking items like cookies. You'll also get all the features of other pressure cookers, including steaming and slow cooking. DWYM Kitchen Experts plus BestReviews, CNET, The Spruce Eats and 1 more. Along with user reviews from Amazon, QVC, Target and Walmart.
" An impressive, multi-functional system that includes oven, stove top, and slow cooker. Has several slow-cook temperature settings. Easy to clean." "The design isn't perfect, though. In oven mode, for instance, you won't get any indication of whether the machine is hot enough to begin cooking or if it's still preheating -- it's either on or off, as far as Ninja..."
We identified the majority of the electric pressure cookers available to purchase. 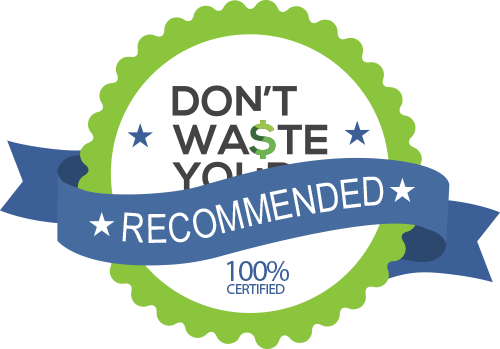 Reviews from our DWYM category experts and analysis of some of the most respected sources including: BestReviews, CNET, The Spruce Eats, Digital Trends, Tech Gear Lab. We also incorporate user reviews from the leading retailers including Amazon, QVC, Target, Walmart, Bed Bath & Beyond, Best Buy, Home Depot, Product Review, Appliances Online and 4 others. The cooking pot is made of Food Grade 304 (18/8) stainless steel (which is amazing!) with a 3-ply bottom for even heat distribution and retention. t’s simple to use and will turn out delicious meals in a fraction of the time conventional cooking requires—you can cook black beans from scratch in 20 minutes, for example. For the vast majority of people out there, we think the Instant Pot DUO60 is the best pressure cooker available. By far the most popular multi cooker on the market. The price makes it an absolute bargain. It stews, roasts, steams and sautes with the the touch of a button. Might be hard for users to adapt their own recipes. The Instant Pot lacks the power to sear meat, so while our Kung Pao chicken cooked nicely, it didn’t brown. Because every model has a little trench where the lid latches on, and in every case that trench gathered up crumbs and was somewhat hard to clean. Instant Pot is a relatively new brand in the kitchen space, but given the quality of this appliance, it doesn't seem to matter. 9. Instant Pot Duo Mini 3 Qt. Cooking at home means using a wide array of preparation methods. You could have a dozen single-use appliances cluttering your countertops and cabinets in order to make delicious meals quickly and easily. Or, you could have a single multi-cooker that does everything you need and helps your home feel tidy and calm. If you have limited space in your kitchen or simply appreciate the peace that comes from having a decluttered place to prepare and enjoy meals, a multi-cooker could become your most treasured appliance. Multi-cooker capabilities vary from one brand or model to another. However, there is a good chance you can find one that performs many of the meal prep procedures you regularly use to feed your family. While most multi-cookers can slow cook meals, a slow cooker is not necessarily a multi-cooker. Slow cookers might have multiple heat settings but only one function, while multi-cookers can have a slow cooking function as well as several other options. Some multi-cookers can boil, bake or brown food. You can meal prep a batch of hard-boiled eggs one day and bake a ham the next. Other multi-cookers might steam, stew and slow cook foods. You can use them to whip up your favorite crockpot meals, put together a thick and hearty soup or make a big batch of perfectly fluffy rice. There are multi-cookers that can grill, roast, simmer and even fry your favorite foods. You can fill it with ingredients in the morning and have a meal ready when you get home. Or you can pull frozen meat out of the freezer after work and use the cooker to have dinner on the table before everyone gets hangry. You are not limited to using a multi-cooker for making main courses, either. You can have warm, nourishing oatmeal at the ready when everyone wakes up in the morning. You can create creamy, fresh yogurt for snacks or cooking. You can even make fun, decadent dishes such as fondue or cheesecake. Having fewer appliances or pots and pans can mean lighter dishwashing duties, a cooler kitchen and quicker cooking time all around. A multi-cooker could also be handy at holidays when the oven and stovetop are all in use, but there is one more significant dish you still want to prepare. Multi-cookers typically have glass lids, allowing you to keep an eye on foods while they are being prepared. They usually have built-in timers that automatically shut off the appliance when the food is ready. In addition, most have non-stick interiors that make cleaning up fast and easy as well. The cutting-edge features of modern multi-cookers might make it seem as though these trendy tools are a brand new idea. However, multi-cookers have been around for decades, although they have taken many different forms. In the 1970s, Sunbeam introduced the Vista Multi-cooker Frypan. The portable appliance consisted of a square pan with rounded corners that rested on a heating element encased in metal on the bottom and large, flat, plastic handles on either side. The tall cover had a handle as well as a vent that opened and closed with the twist of a dial. The power cord featured a temperature dial along with cooking temperatures for a variety of foods, such as bacon at 340; fries at 320; and cake at 300. This multi-cooker could serve as a wok as well. When shopping for a multi-cooker, it is essential to consider what you plan to cook. If roasts and stews are some of your favorite meals, it would likely serve you well to search for an appliance that bakes, roasts and slow cooks. If it’s just not dinner for you unless pasta is involved, you might want to look for a multi-cooker that has a built-in stirring feature as well as a strainer insert. Consider how much space you have available. If a new multi-cooker will be replacing multiple other appliances, you might have the option of opting for a cooker with a larger footprint. However, if real estate in your kitchen is at a premium, looking for something slim and streamlined will likely make you happier in the long run. Think about accessories and extras that are included with or can be purchased for certain multi-cookers. These can provide even more options when it comes to the types of dishes you could make. They can require additional storage space as well. Comparing the power capacity of similar multi-cookers can help you determine which is a better fit. An appliance with a higher wattage will cook foods more quickly and tend to stand up better to heavy usage. If you are considering a multi-cooker that has pressure cooking capabilities, make sure that it includes adequate safety provisions such as a locking lid and a steam-release valve. Find a multi-cooker that includes features to help keep foods safer as well. A timer with automatic shut-off is wonderful for preventing burnt or overcooked, dried out foods. But if your cooker turns off before you get home and your meal is not kept warm, it might not only be less palatable, but dangerous to eat as well. Another feature to look for is 3D heat mode, which ensures that all of the food in the appliance is surrounded evenly by heat so that nothing is over or undercooked. Look into how easy (or difficult) a model is to clean and maintain. Sealed touch panels can be easier to wipe down and keep free of debris than buttons or dials are. In addition, all parts that require cleaning should be simple to remove, easy to wash (dishwasher safe is ideal) and a breeze to put back together when you are finished. Of course, your budget is an important consideration when shopping for any new kitchen appliance. Multi-cookers can be highly affordable, especially if you only want something basic. The Zeny 6-quart model, for example, typically comes in under $50. Those that have more advanced features, include additional accessories or are made using higher quality materials can cost significantly more. The Instant Pot Duo, for instance, can range in price from $80 to $150, depending on the size. Determining what characteristics matter the most to you can help you select the best multi-cooker within your desired price range. For the Electric Pressure Cooker category, we analyzed 136 of the most popular reviews including reviews from BestReviews, CNET, The Spruce Eats, Digital Trends, Tech Gear Lab, Amy & Jackie Pressure Cooker Recipes and more. The result is a ranking of the best Electric Pressure Cookers.